The Annual Fund is by far the most important fundraising effort at St. Mark’s each year, and gifts at any level demonstrate our community’s commitment to our school’s mission. 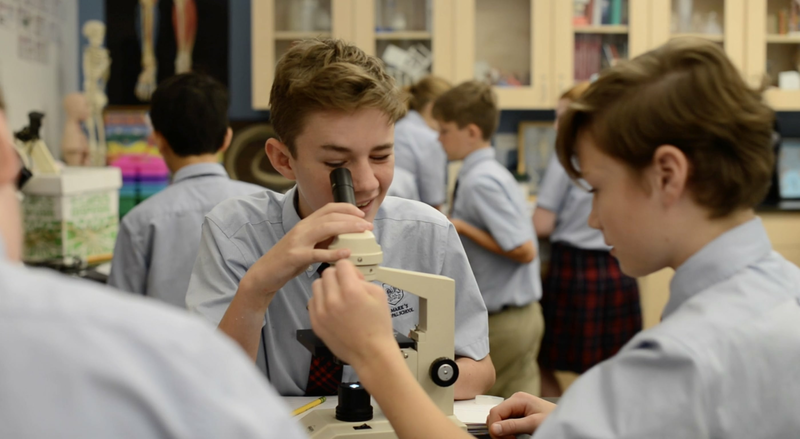 Each year, we ask you to support our school’s academic and learning environment by making a tax-deductible and discretionary contribution to the St. Mark’s Annual Fund. Donations provide the supplemental resources needed for the full support of our children and their educational development. Parent participation is a key metric when receiving support from outside organizations. Because each child is an important part of the St. Mark’s community, our goal is for every family to make a gift every year to the Annual Fund. With strength in numbers, parent gifts add up to a large sum each year, and every gift makes a difference no matter the amount. The cumulative effect of consistently high participation propels us even further and speaks to our shared commitment. Tuition covers our basic operating budget, which includes salaries, benefits, utilities, and campus maintenance. The Annual Fund directly bolsters our budget for facility improvements, curriculum improvements, professional development, technology, and other areas that help us to provide the best environment possible for our children. The entirety of the St. Mark’s experience is made possible by this crucial initiative. Our Annual Fund campaign runs from September 1 - November 30. A pledge is a promise to give that can be paid later; pledge payments for this year's campaign are due by June 30, 2019. St. Mark's accepts cash, check, credit card, appreciated securities. Online giving is available for a one-time gift or gifts on a payment schedule. Many employers offer matching gift programs that could double or triple your gift; we encourage you to check with your company’s Human Resources Department. Giving is highly personal, and we encourage every family to consider an amount that is meaningful to them. We value and appreciate every commitment to the Annual Fund. The Leadership Circle recognizes families who contribute $1,500 or more to the Annual Fund. A meaningful number of donations at this level are crucial for the overall success of the Annual Fund. This group of leaders makes a significant difference in the life of St. Mark’s. Donors who make gifts at this level are invited to a special event in the spring. Each year, ten percent of our Annual Fund is allocated to the St. Mark’s Faculty Growth Fund. Our teachers have the greatest impact on the school experience of our children, and providing for their professional growth is crucial to creating an environment where we ready students for the world that lies ahead. Ultimately, this fund will be integral in attracting and retaining the best teachers who are focused on growth and the future of education. Every year, we complete internal construction projects to improve and maintain our beautiful spaces. iPad and Laptop carts, interactive projectors and monitors, a robust selection of digital resources are just a few of the recent additions. Through partnerships with Rice University, or an entire new set of materials for a grade level, funds in this area directly support the classroom experience. Every teacher in each division of our school is encouraged to pursue continuing education to enrich their classroom. We look forward to answering your Annual Fund questions.